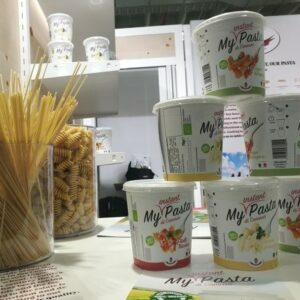 Made in Italy food was the protagonist of the Summer Fancy Food Show in New York with more than 300 producers gathered inside the Italian pavilion and dozens of other products distributed throughout other areas of the fair. The Italian Trade Agency highlighted authentic regional products as companies told their stories of shaping an excellent Italian menu. A popular Chinese proverb says “eating is one of the four purposes of life. The other three, nobody has ever had a clue about.” The whole world is discovering the importance of eating well, enhancing food culture by highlighting raw materials and production procedures. And Italy is leading the way. It is no easy task to summarize the 63rd Summer Fancy Food Show at the Javits Convention Center in New York City from June 23 through 27, 2017. One might say it’s an almost impossible mission. Figures can help, though. Organized by the Specialty Food Association, the fair welcomed over 180,000 products and 2,400 exhibitors from 50 different countries, among which Italy was queen, boasting more than 300 companies and 284 booths within the Italian pavilion and dozens more scattered throughout the different areas of the show. Located right in the heart of the exhibition venue, the Italian area underwent a massive restyling: the 2017 annual has called for new layouts and visitor and distributor-friendlier spaces with an overall design-related revamp. 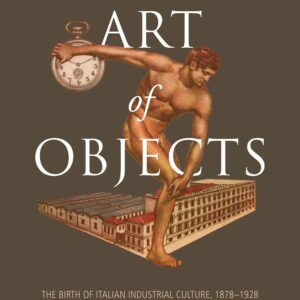 As usual, Italy’s participation was organized and coordinated by Universal Marketing. 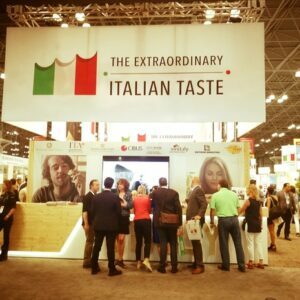 The entrance to the Italian pavilion at the Summer Fancy Food Show in New York. The Specialty Food Association and Universal Marketing welcomed the Italian companies together with the Italian Trade Agency which took part in the event in collaboration with the Italian Ministry of Economic Development, the Italian Ministry of Agriculture, Federalimentare, CIBUS, Tuttofood and Vinitaly. 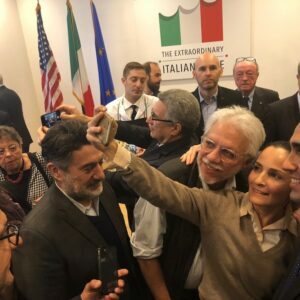 The Italian Trade Agency has provided exhibitors with information and assistance services and invited key American players in the sector to visit the Italian pavilion, and to taste the products on display. They also set up the spaces for show-cooking sessions, meetings, a coffee area and the wine bar — managed by Vinitaly International. Among the numerous innovation ideas 2017 Summer Fancy Food has brought about was an initiative in collaboration with the Ministry of Agricultural and Forestry Policies to use only IGP and DOP products (Protected Geographical Indication and Protected Designation of Origin) for the show-cooking sessions in the meeting area. “One more way to showcase our territorial excellence,” Mr. Forte said. 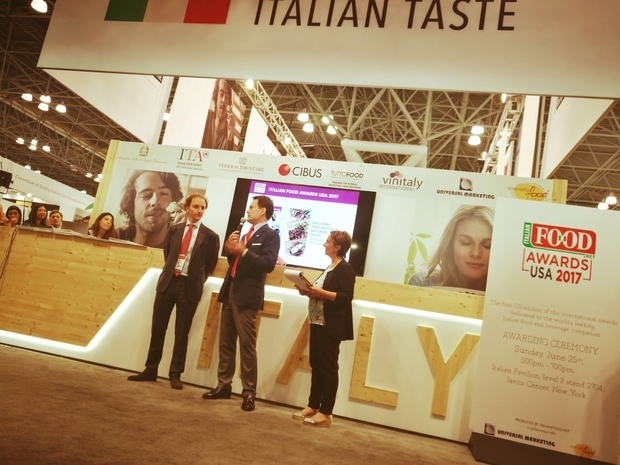 Luigi Polizzi from the Ministry of Agriculture and Consul general of Italy in New York Francesco Genuardi also welcomed the Italian companies at Summer Fancy Food. 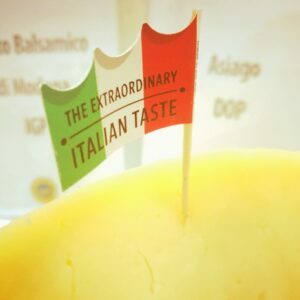 Events such as the Fancy Food Show allow the best Made in Italy products to showcase their qualities. 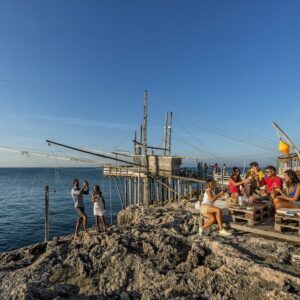 But even outside of the show, the spotlight stays on Italy when it comes to nutrition: a National Geographic article from 2013 links the Mediterranean diet to longevity, based on research on Calabrian centenaries conducted by the University of Calabria in collaboration with the University of South California in Los Angeles. The New York Times also included Calabria among the places to visit in 2017. With those two important distinctions in its pocket, the region presented itself to the public at the Fancy Food Show. It was the only region of Italy with its own booth. 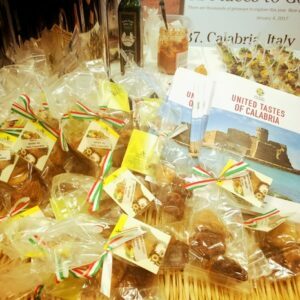 Dried figs from Calabria at the Regione Calabria booth. 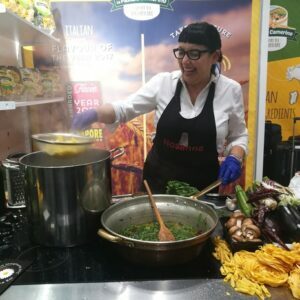 The Italian pavilion also hosted the first edition of the Italian Food Awards, a creation of Food Magazine and Universal Marketing and supported by the Specialty Food Association. Thirteen prizes distributed after a jury of mostly Americans rewarded excellent products for their drive towards innovation. 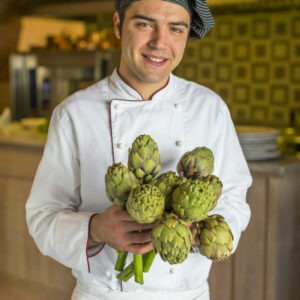 The first edition of the Italian Food Awards. Left to right: Davide Dalcò, publisher of “Food” magazine, Maurizio Forte, Trade commissioner and Maria Cristina, Editor-in-Chief of “Food” magazine. For both winners and other participants, the Summer Fancy Food Show was a great opportunity to highlight the quality of their products. In a context where the consumer becomes a prosumer, buyers want to know what’s behind the products, and in the age of storytelling, being able to tell each company’s tale is a marketing necessity. Territorial roots and familial traditions tell American consumers stories of authenticity and excellence. Between the aisles at the Summer Fancy Food we have heard many of those stories, jumping from the starters to the main course and the desserts as in a feast. The many Italian companies shaped the classical backbone of an “Italian-style menu,” balancing between the traditions of the past and the challenges of the future in an ever-changing market. IGP and DOP products were served at the aperitivo in the meeting area of the Italian pavilion. Any way you slice it, the first course is always the main course. The variety of products Italy can offer allows the consumer to set off for very different journeys. Classic among classics is pasta. At this Summer Fancy Food, between the show-cookings and the various booths, spaghetti and tagliatelle, rigatoni and fusilli were everywhere. A constant line stayed in front of the La Pasta di Camerino booth as visitors waited to try chef’s Rosanna Di Michele dishes. Chef Rosanna Di Michele cooking pasta at the Pasta di Camerino booth. Pasta di Canossa came up with the idea of Italian pasta in cups. Cooking pasta or rice takes time, though. And as Fancy Food 2017 has been the year of innovation, a ingenious idea has been brought about: an Asian noodle-type cup to guarantee the quality of the handmade pasta. “To give Americans the chance to buy a quality canned product, which is also al dente and certified, is a huge innovation we Europeans might consider unthinkable,” Alvise di Canossa of Pasta di Canossa told us. 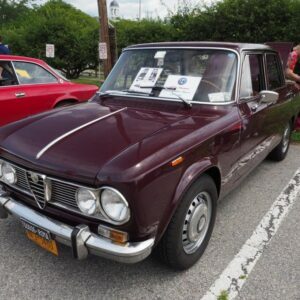 Yet it started out in Ferrara one century ago and has recently made it to the American market. In its simplicity, this pasta is an absolute novelty: just add a few spoons of water to the pre-cooked pasta and then some dried penne and you will have a real Italian “primo” in a few seconds. Secondi – How about a Piatto Freddo? Good mozzarella makes a delicious match with any kind of cold cut: from ham to bresaola, from salami to bacon, to some luscious dry-cured ham, whose exportation to the U.S. is regulated by recently changed rules that make organizing in consortiums the best option for many producers. “We have been exporting our product since when they opened up the market. 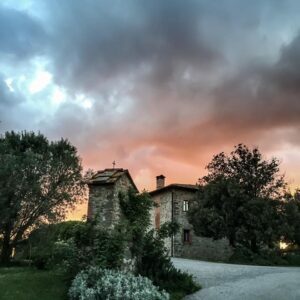 While coordinating with the consortium in the last two decades, the most difficult thing has been to fight back attempts from the so-called ‘Italian-sounding,’ and to protect our geographical indications through educational activity,” Mattia Zambroni of San Nicola di Parma told us. If you’d rather have a one course meal, to settle the argument and get everyone to agree for good, you just need to name it — the queen of the Italian table: pizza. At the Summer Fancy Food Show there were all sorts of pizza, from the wood oven to the pre-packaged ones, all ready to eat. 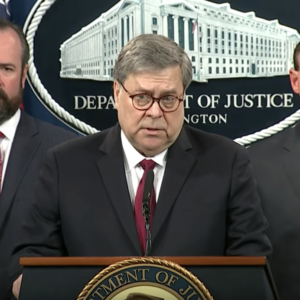 And though it’s certainly true that Americans appropriated this dish and almost forgot its Italian origins, a good dough and flour can make the difference, and it’s notion is getting an increasingly leading role. 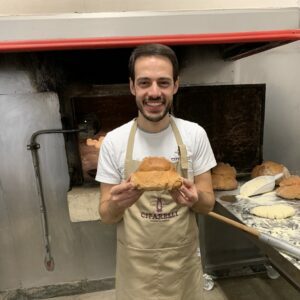 “We cannot tell the Americans how to dress their pizza, but we can propose to the market a kind of quality dough with which they can prepare it better,” Massimiliano Bertuzzi, the Sales Manager of Molino Pasini, said to us. The market for olive oil also has its own niches. Just think about Oleificio Gabro, of Sibari, Calabria, recognized for three generations of oil-makers, and the first company to receive the “organic” certification in 1988. “We monitor each stage of the production process.” Giovanni Brogna said. 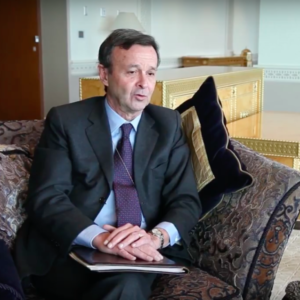 “We are very strong abroad where the organic culture has driven our market forward,” he added. 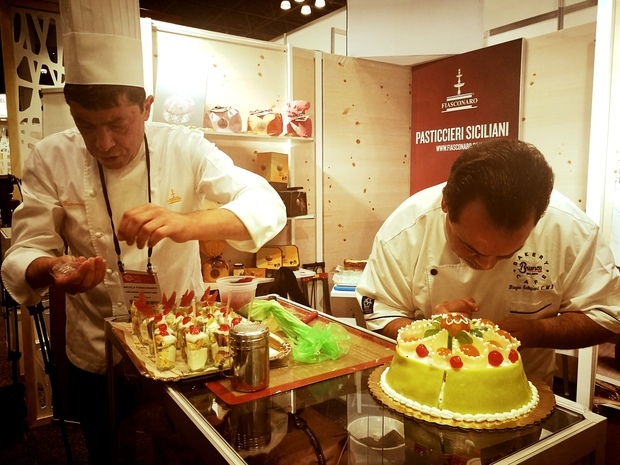 Pastry chef Nicola Fiasconaro (left) and Italian American chef Biagio Settepani preparing a panettone cassata at the Fiasconaro booth. Dinner over? Definitely not. In the classical Italian-style menu, you cannot leave the table before sipping an ammazzacaffè — a small glass of liqueur usually consumed after coffee. In Italy it is a must. But in the U.S.? “Not yet, even if some new trends have been emerging, especially over the last three years,” explained Alessio Pane, Vice President of Distilleria F.lli Caffo for the U.S., which introduced the Amaro del Capo to America. “There is an increasing number of bartenders which use our product to prepare high-quality cocktails,” he told us. 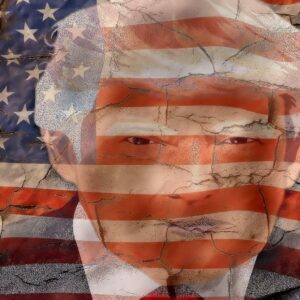 In the end, once a product has been explained and its standards guaranteed, the American market can spread its arms to potentially anything. Insofar as its quality is worth it, ovviamente. Watch our video coverage of the Summer Fancy Food Show. 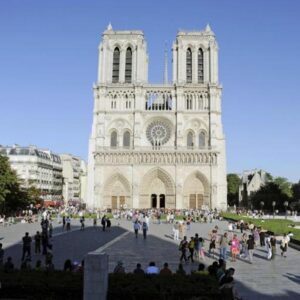 Allegra De Lorenzo contributed reporting. * errata corrige: In a first draft of the article, we had approached the name of Agostino Iacobucci with Pasta di Canossa. Instead, the name of the producer of Pasta di Canossa we talked with was Alvise di Canossa.